I love this set its beautiful! Another amazing floral set Altnew! You seem to keep getting better and better! Thanks so much for offering super giveaways, as well as the great inspiration! Love love the Altenew stamps and would love to win the giveaway so I can purchase stamps. The detail on this flower stamp set is amazing. This is a gorgeous Mum! I love how only 1 or more are needed to fill a card. Looks just as good with one Mum or 3 Mums. Thanks for these gorgeous BAF and for the awesome hops and chances to win. 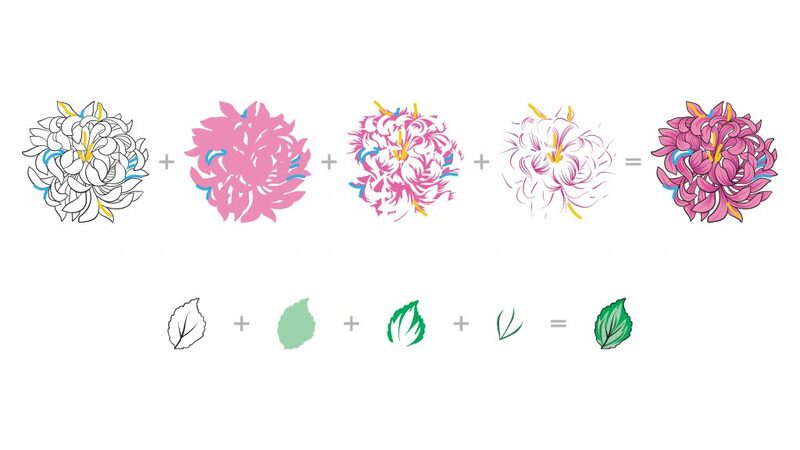 The Japanese Build-A-Flower stamp set is lovely as with all the Altenew build-a-flower sets. This new floral set is gorgeous! I so enjoyed the layering card class and this looks like a fun set to work with! Thank you for sharing the cards that give us inspiration to create one on our own. 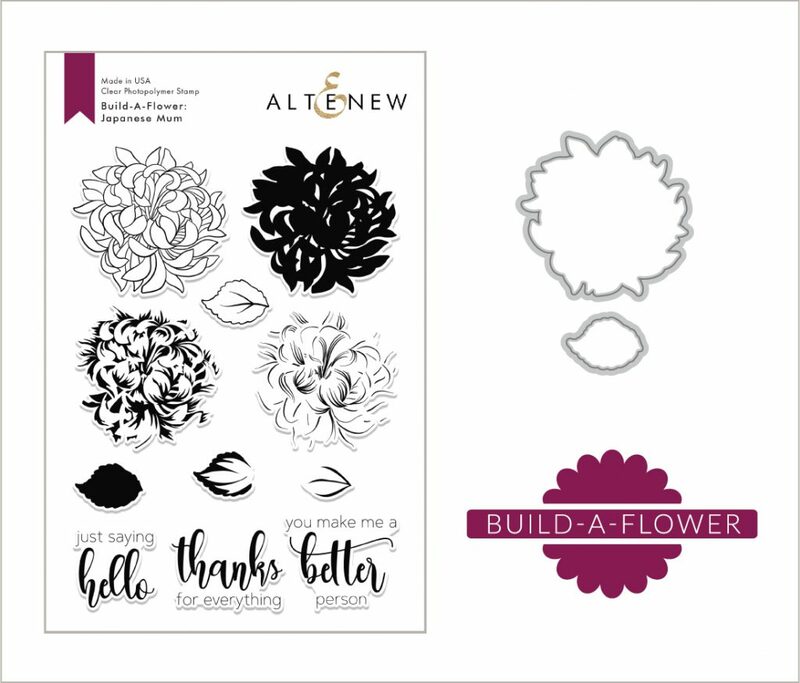 Thank you to Altenew for offering subscriptions for the monthly build a flower! 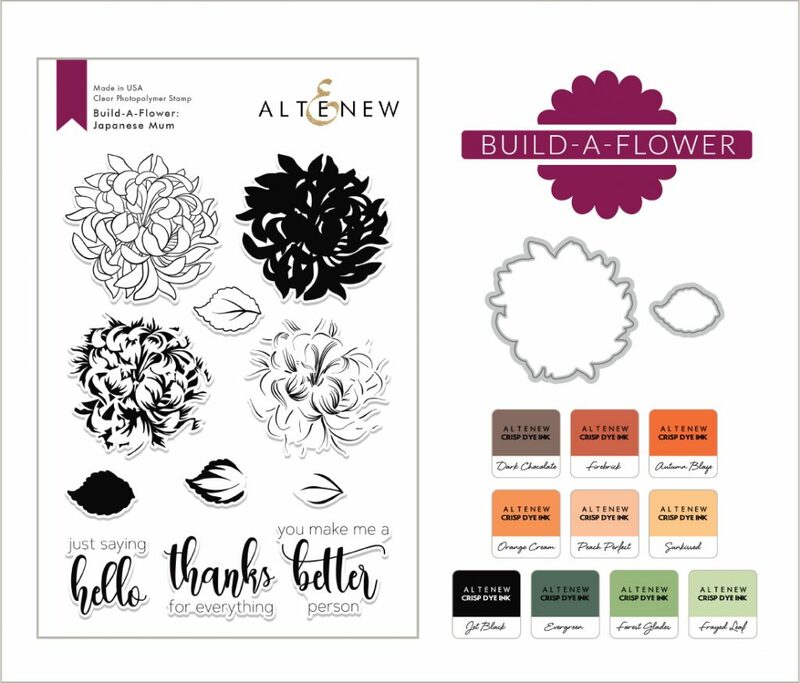 Thank you Altenew for another gorgeous flower stamp and die set. I am new to Altenew and am excited to begin building my collection. Thanks for all Of the video tutorials! The detail in this Japanese Mum is amazing! So far I’ve seen some beautiful cards & a Travellers Notebook that was cool. Looking forward to the rest of the hop. Thanks so much for a chance to win. Your company is wonderful! OMG Each one of the cards that were made by the designers of Altnew were gorgeous. The colors on some are so vibrant. and the others are really beautiful. I have to have this set. More beautiful flowers! Thank you!!! I have several mum stamps, but this one is so fantastic – must have!! Loving the mum release. Can’t wait to use! Thanks for sharing! I really like the Japanese Mum stamp. It is so versatile and layers beautifully. Once again another build a flower set that I have to have! Wow! This stamp set is amazing! I am totally in love with it! Can’t wait to add this to my stamps! Great inspiration from everyone so far, can’t wait to see the rest of the hop! Lovely new stamp set! Thank you for your inspiring projects. Just gorgeous! Love all the inspiration! I love the build a flower stamp and die sets that I have used! This one is another gorgeous set you’ve come out with!? Lovely set with the beautiful mums–so many color possibilities. Love the new release of this flower set. Thank you for the opportunity to win a prize, and I’m inspired by all the design team members’ works!!! Gorgeous set. Another must have! Love the details on all the petals, makes for a beautiful flower! I like this set. It’s lovely. I really like those ink colors too. They’re perfect for mum’s. I LOVE MUMS! my fav flower! So versatile and so many color combos! YEAH! I really like the size and detail on this beautiful mum! I can’t wait to use this stamp set on my cards and scrapbooks! Gorgeous flower, love all the layers. The work by the team is amazing. Different elements that make there cards or pages unique. I just can’t wit to get the new stamp and try some of their technics. Keep up the great fountain of inspiration for us crafters. This stamp set is amazing! It looks so fun to use! This is such a pretty set, can’t wait to see more! Such a delightful set. Between this and the Sakura, I’m set to recreate some of my favorite Japanese prints on cards! I love this new stamp release! What a great addition to your build-a-flower series. These stamps and dies really make it easy to produce great floral ‘works of art’! The various ways to use this set is amazing. All of the designers show so many techniques and ideas. Thanks for another beautiful product and matching die and inks. I think the build-a-flower ink set bundles are a great idea for those of us who are newbies to layering stamps. This stamp set is gorgeous and so versatile. I love all the inspiration these blog hops provide! Another spectacular BAF release from Altenew. The Japanese Mum is so gorgeous. Love this new Stamp set. Japanese Mum-swoon, so gorgeous. A must have!!! 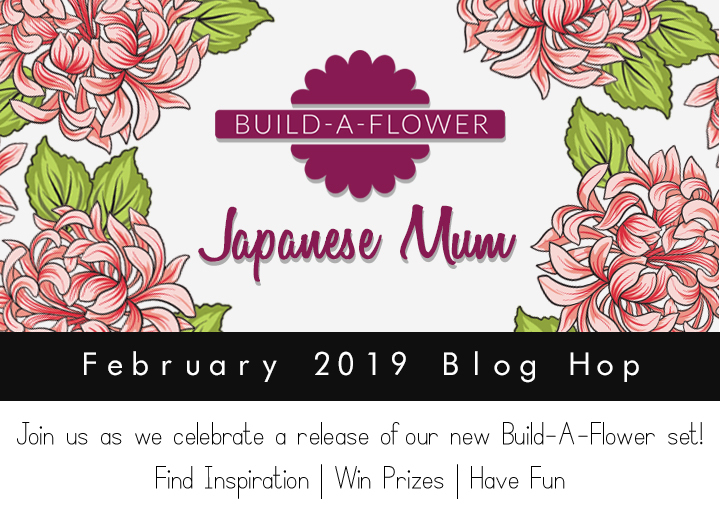 I am in love with the new Build A Flower Japanese Mum, it is so beautiful! I think this is such a gorgeous stamp that would be beautiful in any layout, card or multi media project. Japanese Mum is another amazing stamp set! When it comes to layering sets, the ones where there is a layer that you can also color in with markers if you feel like it – those are my favorites! So versatile! just luv the size of this!! What a wonderful flower for building beautiful scrapbook pages!!! I love it! 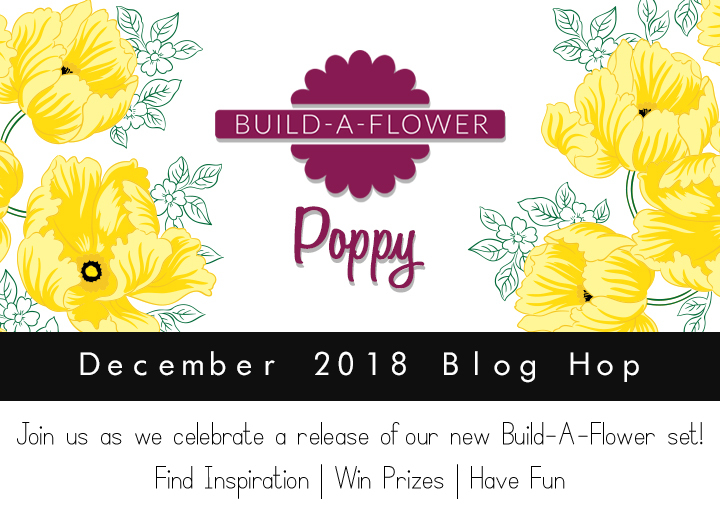 love this gorgeous new build a flower set!